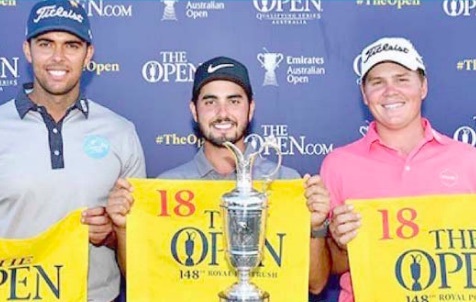 Magenta Shores Golf Club’s, Dimitrios Papadatos, has booked his spot on the 2019 British Open Tour, after placing second at the Australian Open. Papadatos fought off a four putt on the 14th green, which many suspected would take him out of contention, to claim second place behind Mexico’s, Abraham Ancer. Not letting the unpleasantness of the 14th green derail him, Papadatos played a smart game, blitzing the 15th and clawing his way back into contention with another win on the 17th. Papadatos’ fine form after the unfortunate mishap proved that he’s a force to be reckoned with and saw him conclude the Australian Open at 11 under, his best ever result in an Open event. It also saw him climb to 154 in the world golf rankings, with opportunity to climb even higher with the Australian PGA Championship on the Gold Coast fast approaching. Qualifying for the British Open is a significant milestone for Papadatos, who has a proven track record in professional golf’s second string circuit, and it will be his first real chance to challenge himself against golf’s elite. The British Open kicks off in Ireland in July, 2019.